How to make a character into an icon? JIM Mobile throws us a phone! 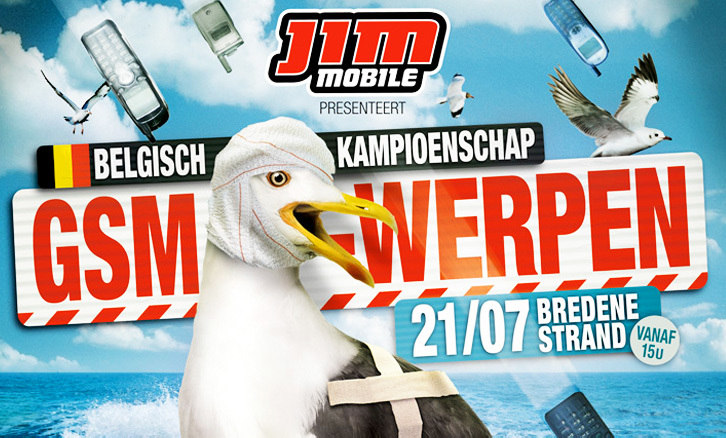 A few years back, JIM Mobile started organising a crazy event for their (potential) customers: the “Belgian Championship Cellphone Throwing”. We jumped on the assignment, looking for a relevant idea that was born to stay! There was a big chance the championship would be more than a one-hit-wonder. It was relevant, smack in the middle of the target audience, and a lot of fun. That’s why we introduced strong characters from day one, that would provide fertile ground to grow compelling stories for editions to come. 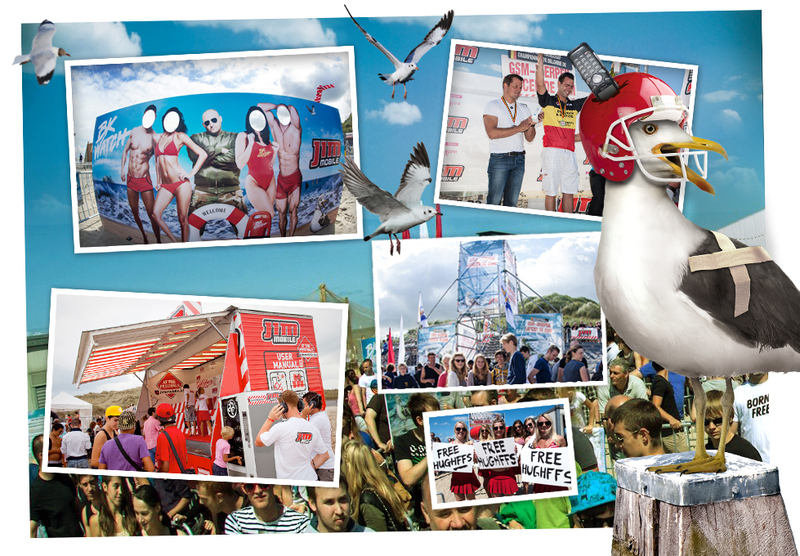 The championship was to take place in Bredene at the Belgian coast. Hometown of a lot of assertive seagulls that would be better off staying far away during the event, because else… BAM! 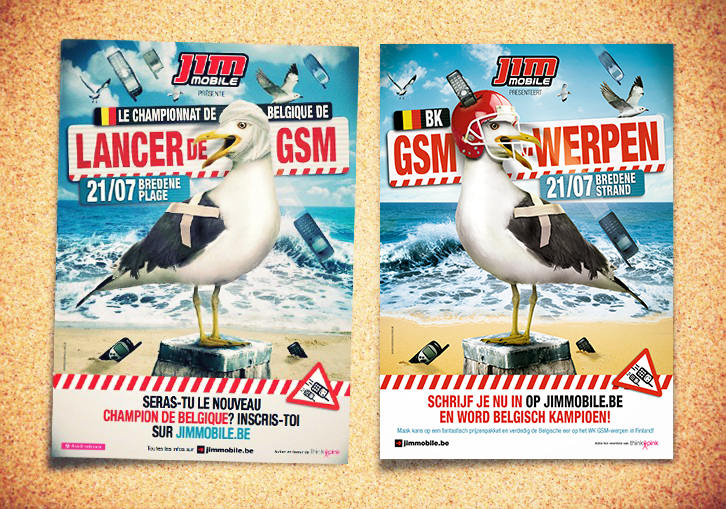 Two icons were born: Jos and Marcel the (somewhat tattered) seagulls. As it turns out, seagulls aren’t too quick on the uptake. You’d think they’d know the drill by now. Jos and Marcel make a radio announcement! It’s not only a brand, it’s a whole universe! 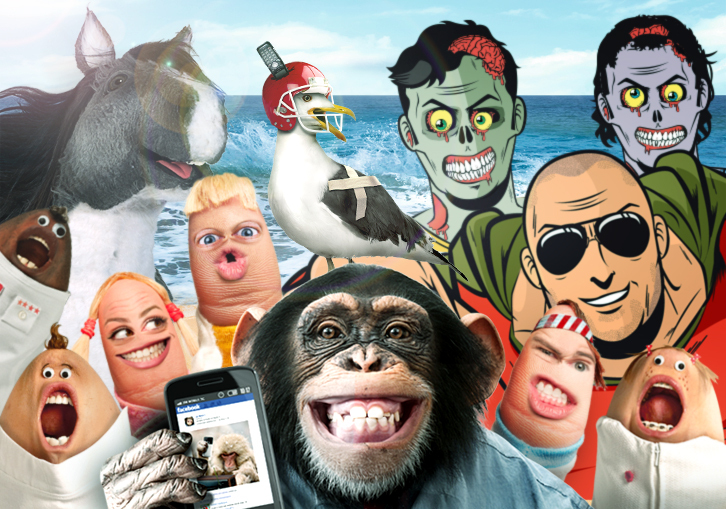 Apart from contributing to the big success of the championship cellphone throwing, Jos and Marcel also played a key role in building out the JIM Mobile universe: a bizarre world filled with strange creatures like singing chins, furry horses, superheroes and so on… It’s not just a random bunch of weird creatures though: thanks to the JIM Mobile Universe strategy, we created a remarkable brand personality with sassy communication and fitting tone of voice, unique on the belgian telecom market: different, with a twist, young and relevant.